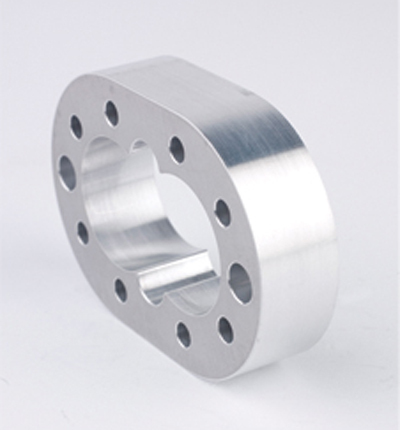 These bearings range in size from .236”(6mm) in diameter to 1.26” (32 mm) with a stock removal requirement of .030(.762mm) to as much as .100 (2.54mm). All of this is achieved while holding a +/- .0002 (.005mm) overall length, parallelism of .0001 (.0025mm), end face run out of .0001 to .0003 depending on diameter and a surface finish of 4-6 Ra. With an additional polishing step a surface finish of 1Ra was easily and consistently achieved. 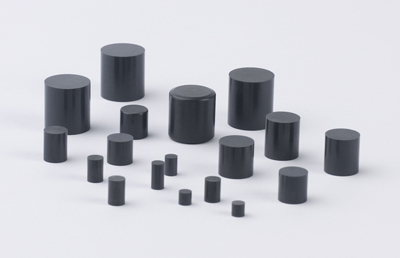 Carbide inserts range in size from the very small to large inserts. The typical stock removal for inserts is approximately .010 - .030. We are able to process either one side or both sides simultaneously greatly reducing the handling associated with Blanchard grinding. 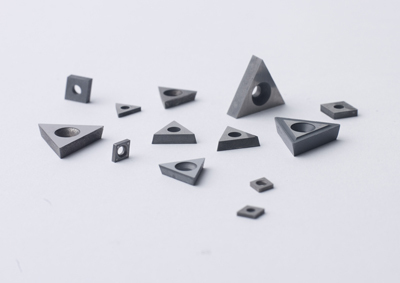 Typical surface finish from the Fine Grinding process will yield on average a 6-8 Ra surface finish. With an additional polishing step the part can achieve surface finishes as low as 1 Ra or better. Typical production rates we currently achieve are in the 25,000 + parts per week range. Mechanical pump bodies need to be held to very close tolerances usually in the +/- .0002 (.005mm) and parallel to .0001 (.0025mm). Typical stock removal is usually .010 to .030. This is easily achieved with Fine Grinding with cycle times around 3-5 minutes. With the process being so clean the subsequent cleaning operation is greatly reduced compared to conventional lapping.